Don’t put off making that recipe because you are missing an ingredient! 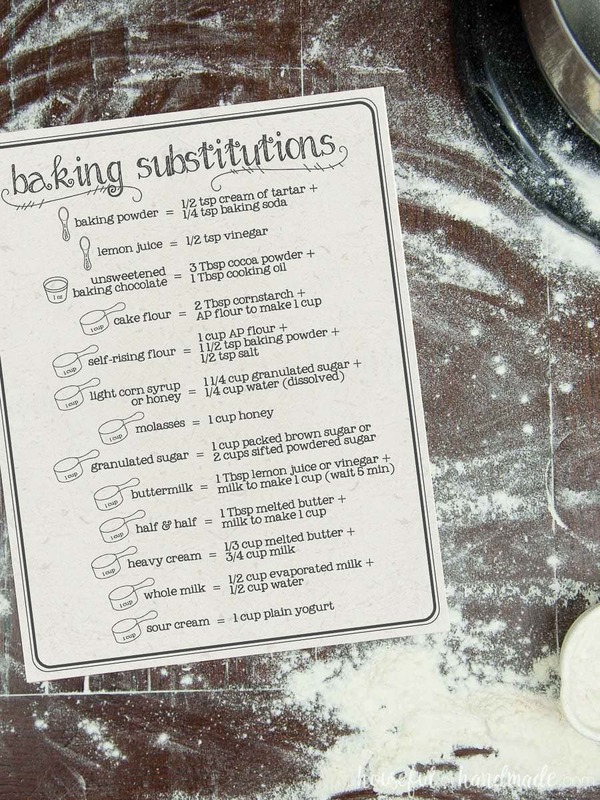 This ingredient substitutions chart has lots of easy substitutions for cooking staples so you can get back to your recipe. 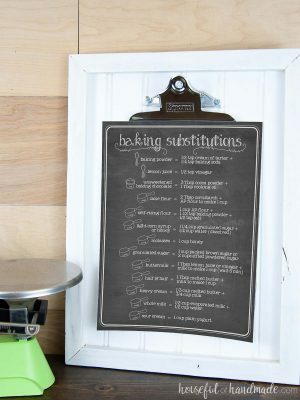 Buy your favorite color of the ingredient substitutions chart for $2 or get a set with all 3 kitchen charts here for only $5! Hate running to the store mid-recipe for a missing ingredient? 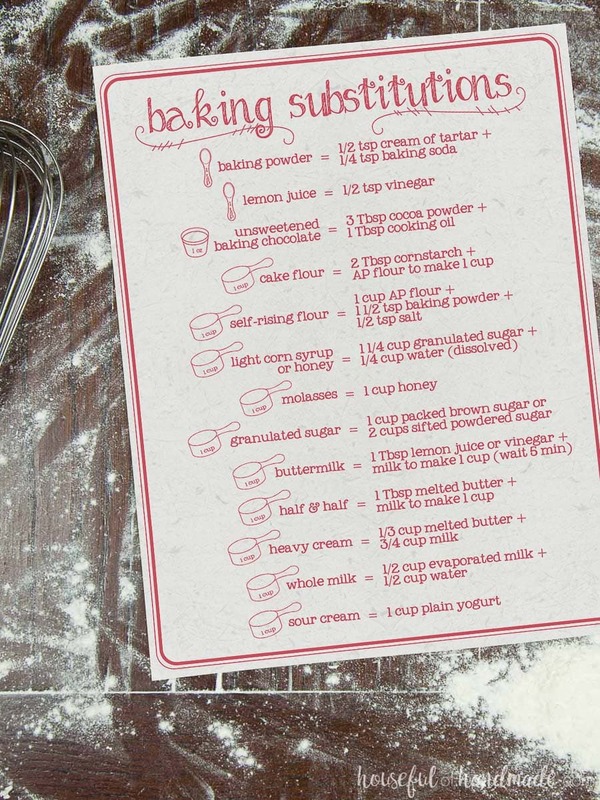 Then you need this printable ingredient substitutions chart. 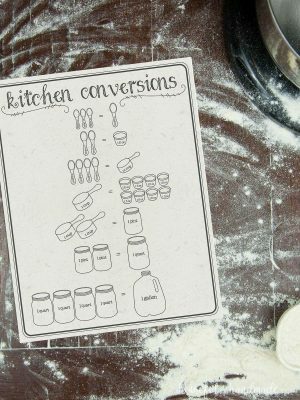 Includes easy substitutions for lots of different ingredients from buttermilk to baking powder, corn syrup to sour cream, and more. 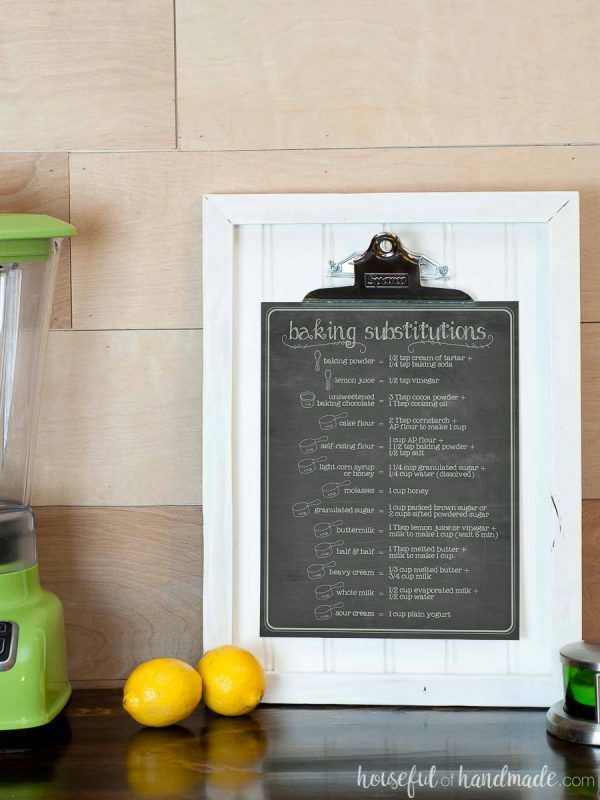 This 8 1/2 x 11″ ingredient substitutions chart has everything you need to get back to cooking fast with hand-illustrated designs. Two different background designs with 2 different color ways each means you can pick the design that works best in your own kitchen. Beautiful design matches the printable recipe scaling chart and printable cooking conversion chart designs so you can have a complete set in your kitchen.